We all know that hot air rises, but it also expands – in all directions. If you have vents in your roof space they will let warm air out. However vents only work when the roof space is already warm – and the expanding air starts radiating into your home. “Solar Whiz” starts when the sun shines on the roof – and therefore prevents the heat from building up. “Solar Whiz” is designed for durability in Australian conditions and is backed up by a substantial warranty. 10 year warranty on PV panel 2 years warranty on all other components. Solar Whiz inside your house. 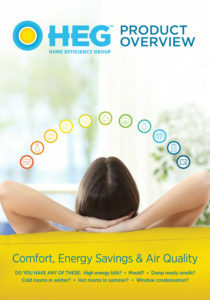 Reduce moisture levels: “Solar Whiz” by Home Efficiency Group is also a very effective way to reduce moisture levels in the roof space. The extraction fan removes moist air, which amongst other damaging effects, may cause condensation on the roof – and in extreme cases condensation dripping onto insulation/ceiling causing damage, such as cracking plaster and peeling paint. A “Solar Whiz” will also help prevent mould & mildew and protects the roof structure. Heat extraction from inside the house: “Solar Whiz” by Home Efficiency Group may via a duct remove hot air from specific rooms or areas. It may also be possible to simply place vents in specific rooms and connect the vents into the roof space, which means that the replacement air for the roof space will be partially supplied through these vents. What if my roof doesn’t face the sun? The “Solar Whiz” can be turned to face the sun no matter which way the roof is facing – so not having a north facing roof is no problem! The adjustable PVpanel mounting allows you to choose a suitable angle (up to 45 degrees) for any pitch – even if your roof faces south.